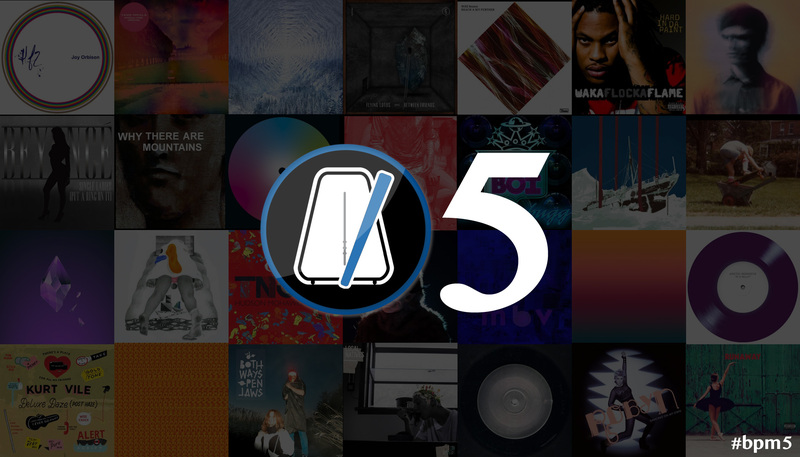 October 5th 2013 saw the fifth anniversary of the founding of Beats Per Minute, the music news and reviews site that myself and some colleagues that have become close friends have been running. as a hobby and pet project for, well, five years now. We decided to celebrate the anniversary by compiling the best music that has been released over the site's lifetime (in our opinion) and writing plenty about it. But aside from my own writing, the work of plenty of others went into compiling this mammoth project and I'd really appreciate it if you looked at, read, and shared any of it.